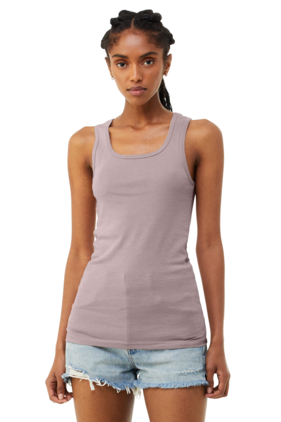 100% Airlume combed and ring-spun cotton, 30 singles 5.8 ounce 2x1 rib knit tank. Side-seamed. Slim fit.